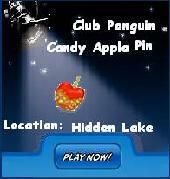 I subbited a picture to Cp anyway the anneversary party start tommorow until then waddle on! I have an exciting update today and I wanted you to be the first to know. In the last few years, many of you have requested to be able to play Club Penguin in different languages. We’ve been working on it and today we launched the first of many new languages: Portuguese! More languages will be coming out throughout the year and we’ll let you know as soon as they’re ready. When you login to play, you’ll notice you can select a language on the top navigation. Right now you can choose English or Portuguese. If you want to play in Portuguese, select that language, and when you enter Club Penguin EVERYTHING will be in Portuguese. Cool! There’s a new Holloween party you won’t to miss it!!!! !